Note: This exhaust kit is not road legal in UK. 304 Grade Polished Stainless Steel. 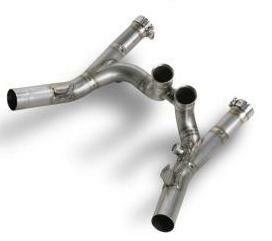 Road legal marked pair, slip straight onto 'cat' or 'de-cat' pipework, with Carbon end cones. 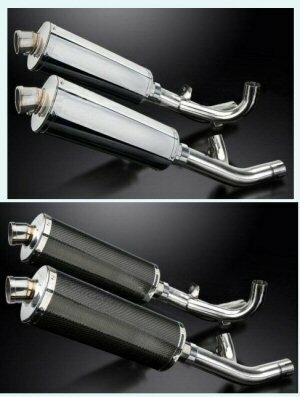 Pair of chrome slim silencers that slip-on to either original collector box or any type of ''de-cat'' pipework. Road legal with removable baffles. 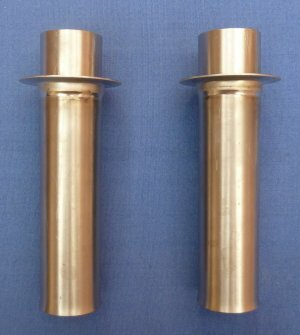 Supplied with stainless steel support brackets. 'De-cat' pipework (probably better flow than an 'X' configurated pipe? 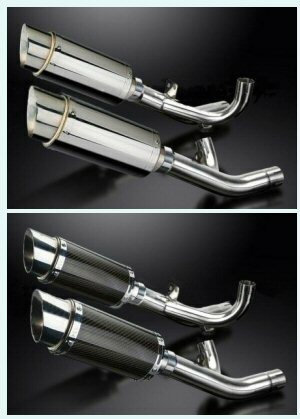 as no possible 4 into 1 'X' junction restriction) in polished stainless steel, including lambda sensor re-fitment (Removes the Catalytic convertor). 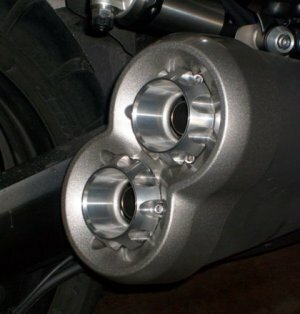 Allows fitment of any style of slip-on silencers, for a 'Thunderous' sound. Note: If wishing to re- fit original silencers, necessitates modification to left hand side exhaust cover plate, (see 'click here'). 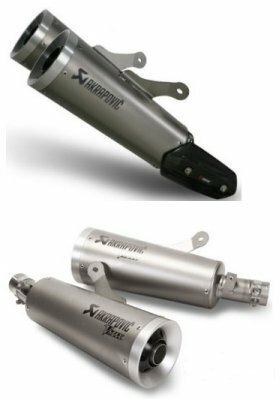 Collector box made from Titanium saving 10kg in weight to fit Akrapovic Slip-on's only (below), this turns the Slip-on's into Race spec. 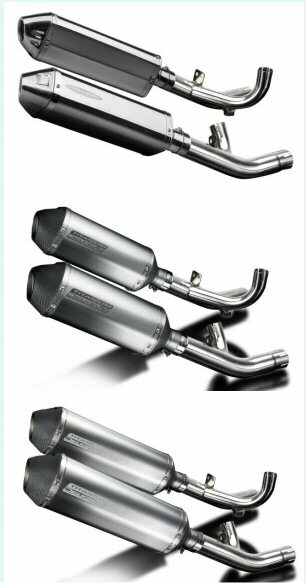 Genuine yamaha, set of 4. Available with 6 or 9 Hole Design.